Q: what is the significance of the picture in jacinto's hand...? ?and why carmen never wants to kiss jacinto when they have sexual relationship?? I'm a massive fan of the horror genre, but I don't like ghost stories. To me, ghost stories are a poor manifestation of the genre. It's not the idea of ghosts that's the problem, it's the way the stories are presented; often dull, slow moving and uninteresting, and those are things that do not make a good movie. However, there is an exception to every rule; and this film is the case with that one. 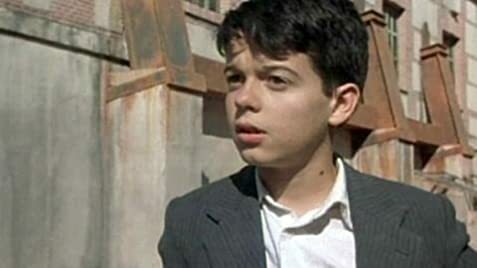 The Devil's Backbone is a mesmerising and inventive addition to the ghost story tradition. The film moves slowly, but that is a definite advantage to it. The slow pace allows us to get to know, and even care for the characters before the horror starts, and this makes the horror all the more potent when it does start. 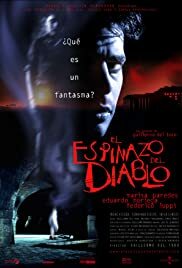 The Devil's Backbone has been touted as 'the Spanish Sixth Sense', and although this is unfair as this is hardly a bad film; I can see where that notion is coming from. The main difference between the two, however, and the reason why this film works and Shyamalan's doesn't is that the parts between the horror here aren't boring, are well acted and serve a purpose in that they allow us to get to know the characters; Shyamalan got too caught up in trying to make his twist work and the drama in-between caught the brunt of that, rendering the film boring. The film can't really be accurately described as a 'horror film', it's more of a drama come character study with horror elements. The horror elements are pronounced, as the ghost is the centrepiece of the story, but the film doesn't focus on them enough for it to be considered horror. Entwined within it's plot is a coming of age tale, a story of revenge and a nice little section on 'what is a ghost'. I like it when a film delves into it's subject material and attempts to give something of an explanation; Return of the Living Dead did it for zombies (albeit comically), and The Devil's Backbone does it here for ghosts. The coming of age side of the story is brought to life brilliantly by some sublime acting courtesy of the young cast. Entwined within the story are themes of the kids being thrust into a situation that requires them to grow up fast, and it also sees them dealing with themes of death and revenge. One thing you will instantly notice about this film is the fantastic cinematography. The film has a gritty style, but despite this it manages to come off looking crisp and clean. There are some shots that are incredibly beautiful. All shots with the ghost, which is one of the best crafted ever, come to mind immediately but also of note are the underwater sequences, the special effects and the capture of the location. The film is set in an orphanage somewhere the Spanish desert, and this location serves the movie magnificently. The fact that it's a day's walk away from the nearest town makes the film very isolated, which allows the horror more potency. Guillermo Del Toro is an obviously talented director. He has this film under his belt, along with Cronos (which I haven't yet seen, but have heard great things), but after that it's hit and miss. Blade 2 was a good film, and a refreshing one after the lackluster first part; but Mimic wasn't very good on the whole, despite some good moments. More recently he's gone on to direct Hellboy, which again I haven't seen but it looks like another fun film. I hope Del Toro makes a return to art soon, he has the talent and it would be a shame to lose him to 'decent' films. 56 of 86 people found this review helpful. Was this review helpful to you?